Are you ready for September? I am! I love the change in seasons and the start of a new school year. Even though my children are grown, I still think of September as a new beginning, a time to refresh. It’s a great time to clean and organize the craft room and plan some new projects. I’m sure you’ll find some inspiration in today’s list of things I’m SEW thankful for! To kick off the new school year, the Moda Bake Shop is hosting the School of Sewing quilt along. Join Oda May as she leads you through the making of a beautiful 88 1/2″ square quilt. 2. Now’s the perfect time for a Halloween Mystery Quilt Along at Fort Worth Fabric Studio. They’re up to week 3 already, but I’m sure you’ll be able to catch up (and be ahead of the game come October)! 3. Check out the Four Patch Quilt Tutorial by Amy at Diary of a Quilter. I love the classic and simple beauty of this quilt! This tutorial is well done and would be perfect for the new quilter. 5. It seems that I’m always in need of a carry-all bag for something, so I was excited to see this free Modern Ditty Bag Tutorial by Stephanie at Modern Sewciety for the Janome blog. It looks just right for me! 6. Reading about how others stay organized gives me inspiration and motivation to do so myself. I was glad to read about how Deborah at Whipstitch keeps track of her projects and the tools she uses to do it. 7. If you’re interested in English Paper Piecing, Amira at The Little Mushroom Cap has put together 5 Ways to Baste EPP Templates. You’ll find a variety of interesting techniques along with pros and cons of each method plus resources for reference. 8. If you have a little one in your life, you’ll appreciate this free Quiet Book Pattern from Abby at Sew Much Ado. This is on my list of things to make for my granddaughter, and I’m so glad to see this tutorial full of ideas. 9. If you have a jelly roll sitting on a shelf waiting to be used, then you’ll want to visit Project Jelly Roll. Moda is celebrating the invention of the jelly roll and has made September 16 National Sew a Jelly Roll Day. 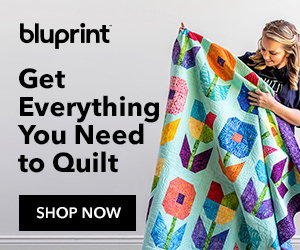 It’s designed to encourage quilters to make something with their jelly rolls and play a little. 10. If you’re following along with Jacquelynne Steves’ I Love Home BOM, you don’t want to miss her Wonky House Tutorial. This would be cute with a whole neighborhood of houses! That’s everything for now. I’ll be back tomorrow with my second block for the I Love Home BOM. I can’t wait to show you! Thanks to all of the blogs mentioned today for their contributions to the quilting community. If you’re in the US, I hope you’re enjoying a long Labor Day weekend! Thanks for sharing all these fun ideas! 3rd Day of springtime, we are looking so much forward to summer. Won’t be long now! Time to clean the sewing room. Everything surplus seems to congregate there and lots to give away or sell. Being Dutch born and living in New Zealand I have the reputation of being spotless. Glad they can’ t see my sewing room, hahaha!! !